When in doubt, bling it out. Every holiday party can use some bling to amp things up. What better way to do so than with an embellished hairstyle that’s sure to be the most buzzed-about look of the night? 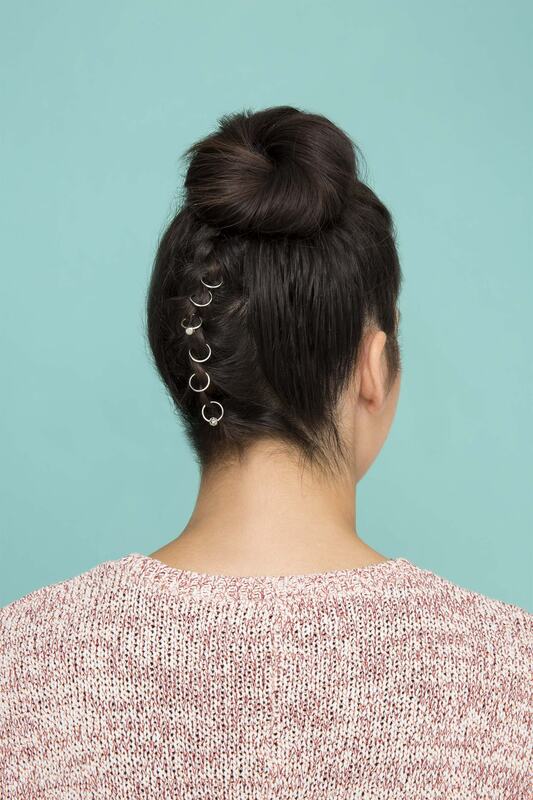 A bun featuring an upside down French braid, jazzed up with some hair jewelry, is a clean yet statement-making look that we can’t wait to try at our next cocktail party, during this week of never-ending parties. 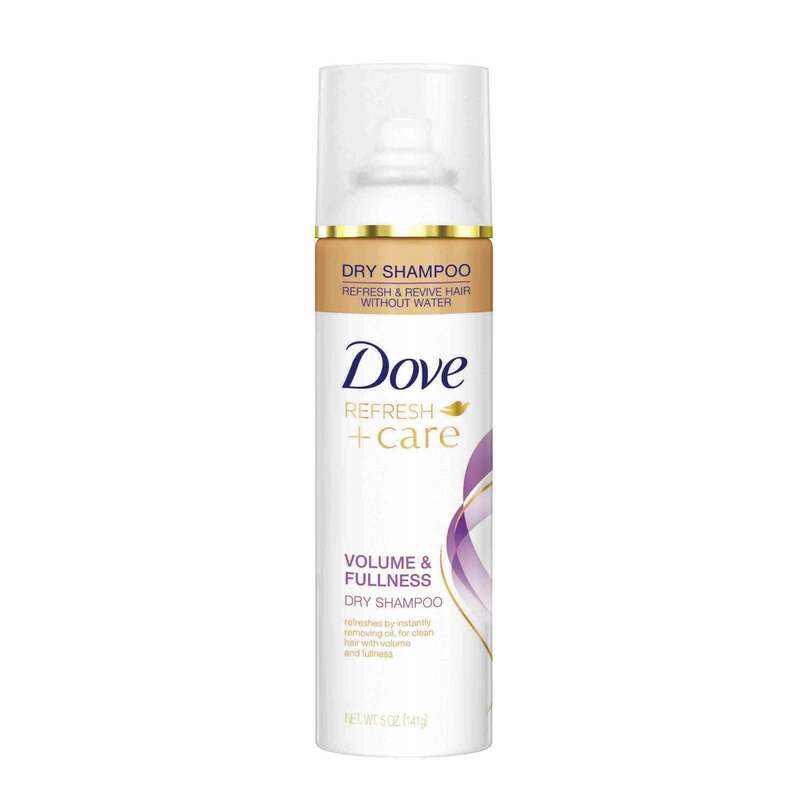 Step 1: Refresh your hair with some dry shampoo. Updos with some detailing, such as an upside down French braid, are better on hair with some texture. Prep hair for this look by spritzing on some dry shampoo, such as Dove Refresh+Care Volume & Fullness Dry Shampoo, which helps sop up excess grease and refresh your scalp. Shake your hair out afterwards. Step 2: Flip your head over and begin braiding. Flip hair over and begin a French braid in the center (or a Dutch braid, if desired!). Start the chain from your neckline upwards until the top of your crown. Step 3: Secure at the top with a hair tie. Tie off the end of your upside down French braid with an elastic. Brush out the ponytail to ensure that you’re tangle-free. Step 4: Apply some serum to your pony and ponytail base. 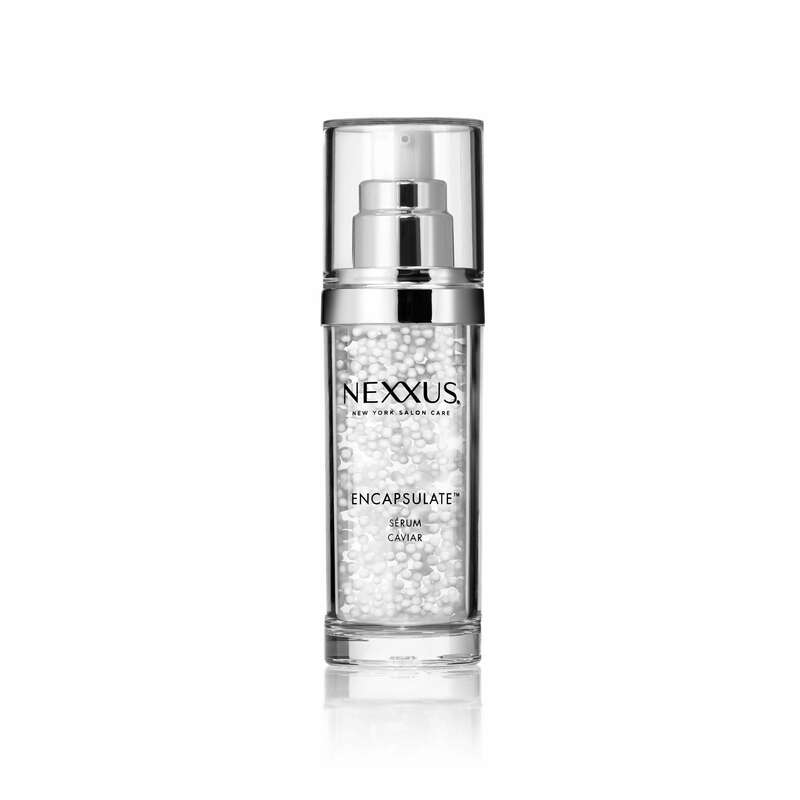 Apply a few drops of a lightweight serum, such as Nexxus Humectress Encapsulate, onto the palms of your hands and spread it through your ponytail, as well as your base. This can help smoothen down any baby hair strands and eliminate a frizzy look around the hairlines (a.k.a. halo frizz), especially when hair is done up. Step 5: Create your bun. Take your upside down French braid ponytail and coil it around its own base, creating a chignon. Tie off your bun with a hair elastic or some pins till secure. Open up each of your hair jewels or rings, and loop one through each braid chain. Use a few for some subtle bling, or do a series of rings for an edgy, slightly subversive feel. Step 7: Finish with hairspray. A final spritz of hairspray, such as TRESemmé TRES Two Extra Hold Hairspray, helps hold down any flyaways and keeps your look in place. Sparkly season’s greetings, everyone!